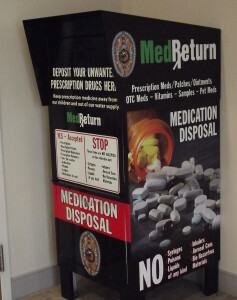 The Camden Police Department has a new drug drop box for prescription and non-prescription medications. It is located in the lobby of the Police Department and is accessible any time the lobby is open. Normal business hours are Monday – Friday 8am- 4pm.